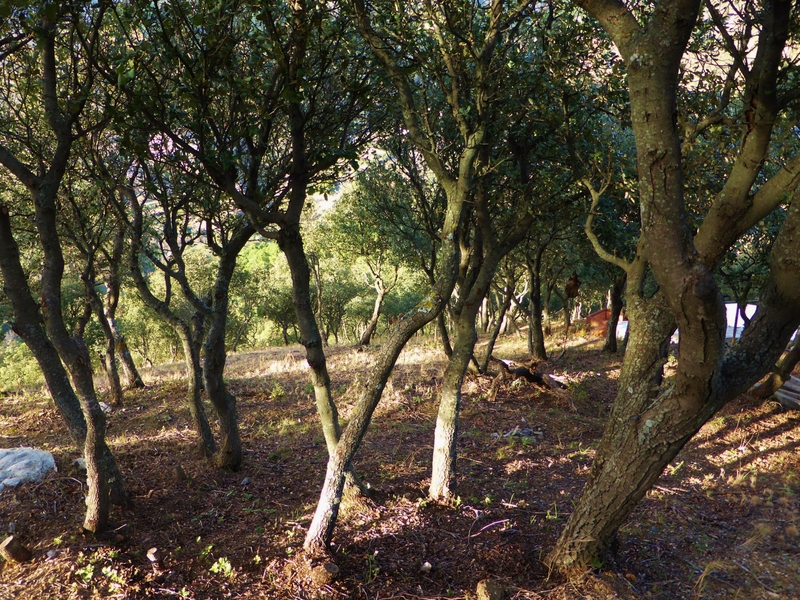 Everywhere you go in Spain you cannot fail to notice the gnarled, twisted grey-leaved holms or holly oaks (quercus ilex), occasionally on their own, more usually in small copses or even larger forests in protected areas. 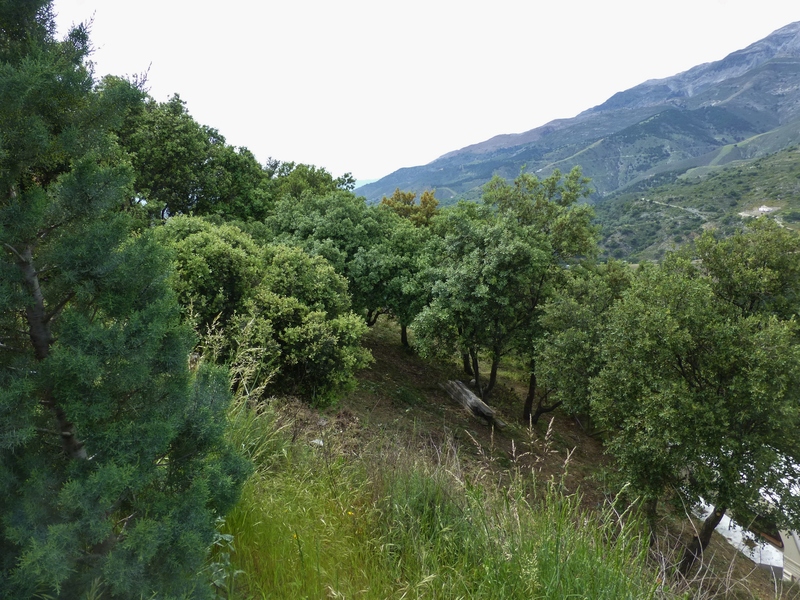 The Spanish know it as the encina and it was the major constituent of the primeval Mediterranean forests that once stretched over great swathes of Spain. 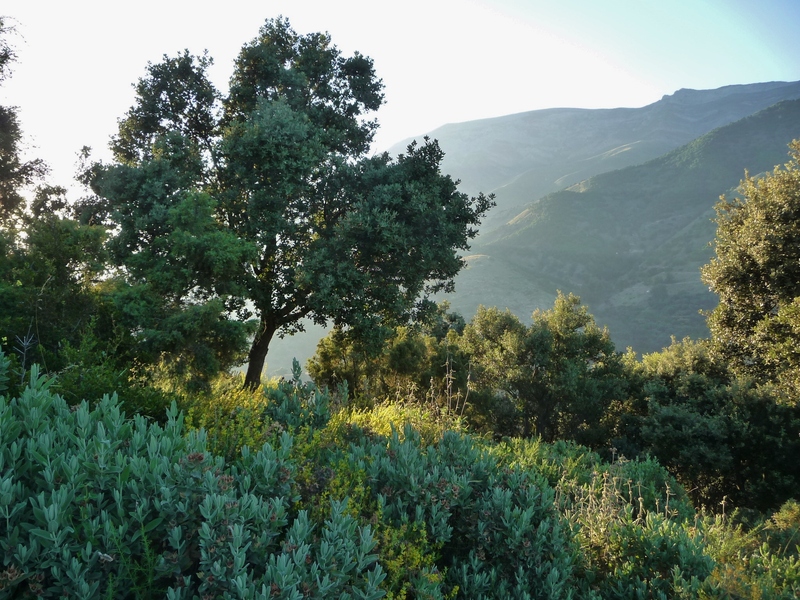 Although the forests have been reduced over time through grazing, charcoal-burning and felling, the holm oak still remains the commonest forest species with around 3m hectares across Spain and the Balearics. 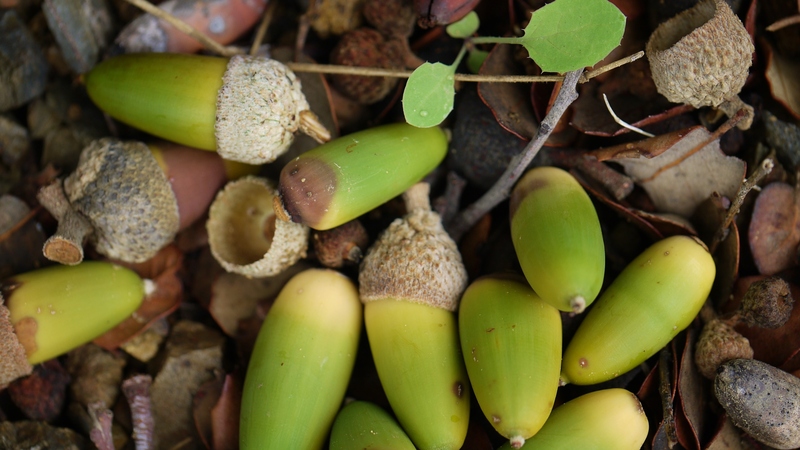 Encina acorns are a particular favourite of the wild boar and the much-prized and very tasty Iberian pigs (pata negra) graze in areas called dehesa – man-made scrubby forests of holms interspersed with cork oaks. That’s presumably why we are always seemingly under attack by the wild boar! 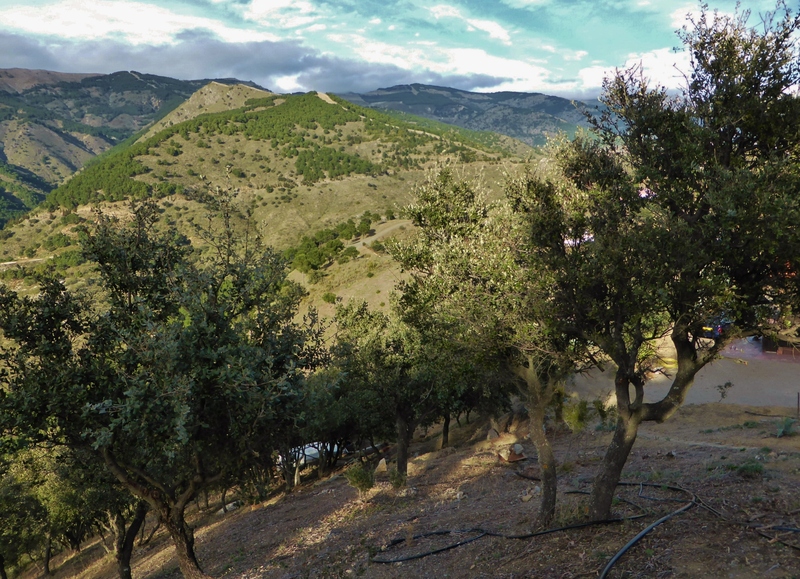 Very slow-growing and long-rooted, our encinas seem eminently capable of withstanding both the hot dry summers and the severe, chilly winds on our battered, high altitude hillside. 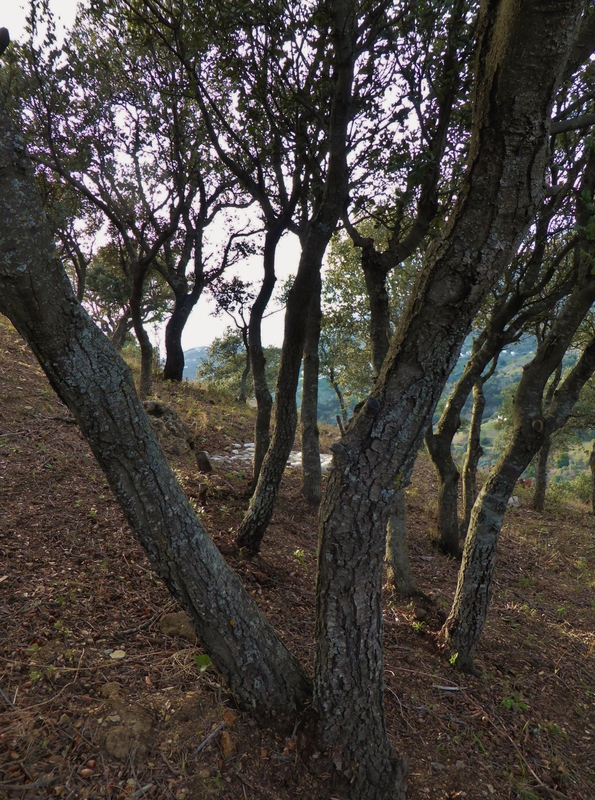 I’m sure the whole of our hill was covered with holm oaks, but from records going back to 1947, the southern side of our land was cleared and cultivated, and the more exposed side was left as an oak forest – we were told by a Parque guard that the encinas are a protected species and to touch them at our peril. 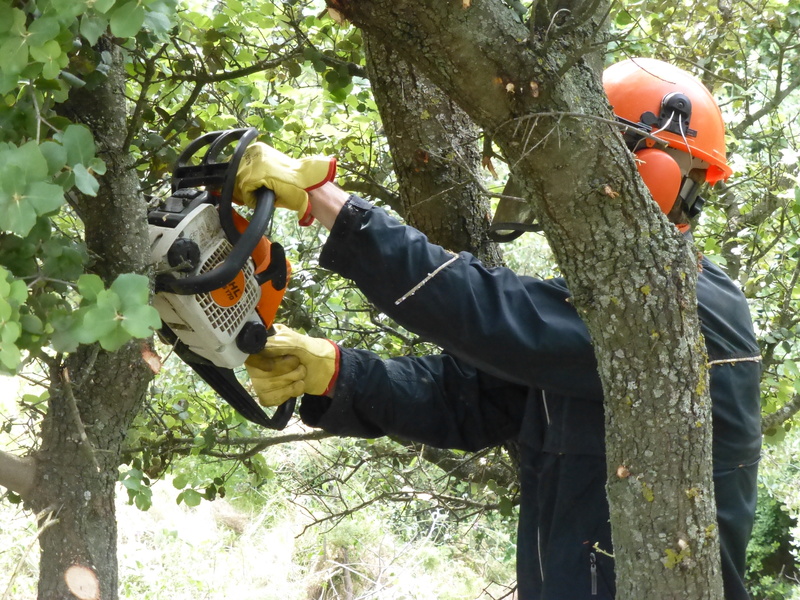 I don’t know how many holm oaks we have; too many to count, but it was only last year that Joe made a start on clearing the garrigue (woodland scrub) and pruning the oaks up as high as possible to limit the risk of fire. 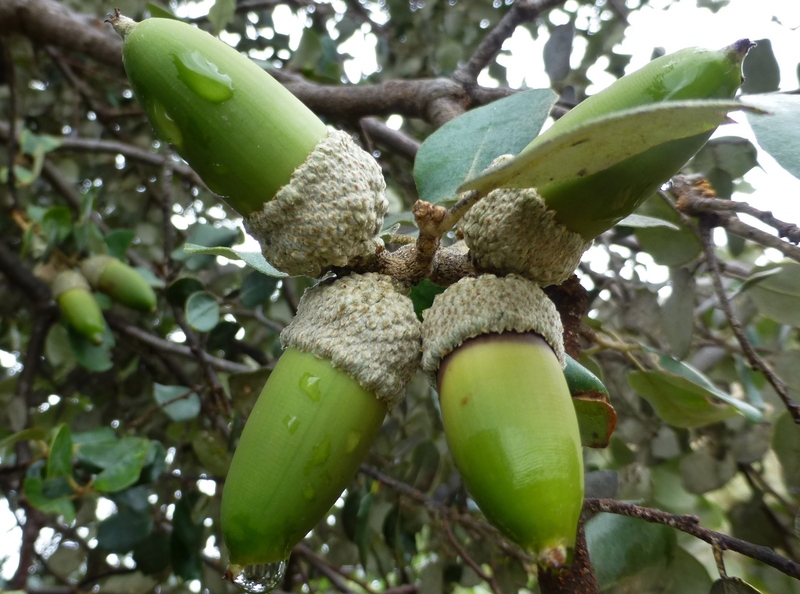 The pruning was a very difficult job and it looked very bare when he’d finished, but this is what the teams of Junta contractors do in rotation every three years or so all around the Parque. A necessary evil, you might say. 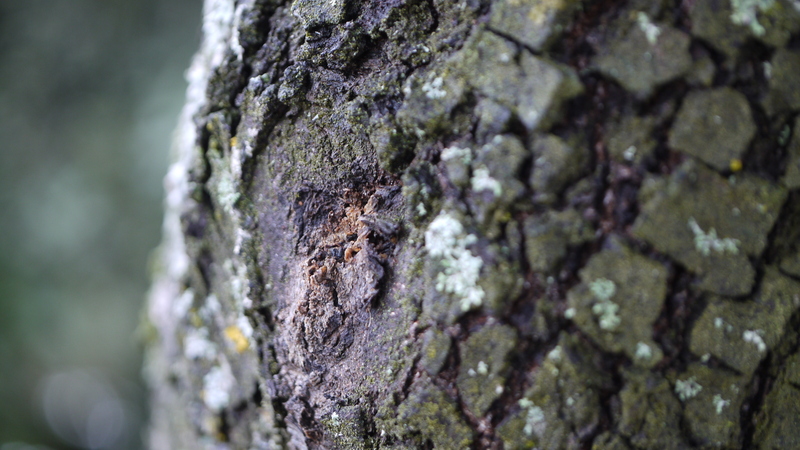 Having said that, I read that another plus of these beautiful trees is their ability to regenerate themselves after a fire; well, I hope it doesn’t ever come to that. Amongst other things, Joe’s now embarking on a regeneration programme of his own. 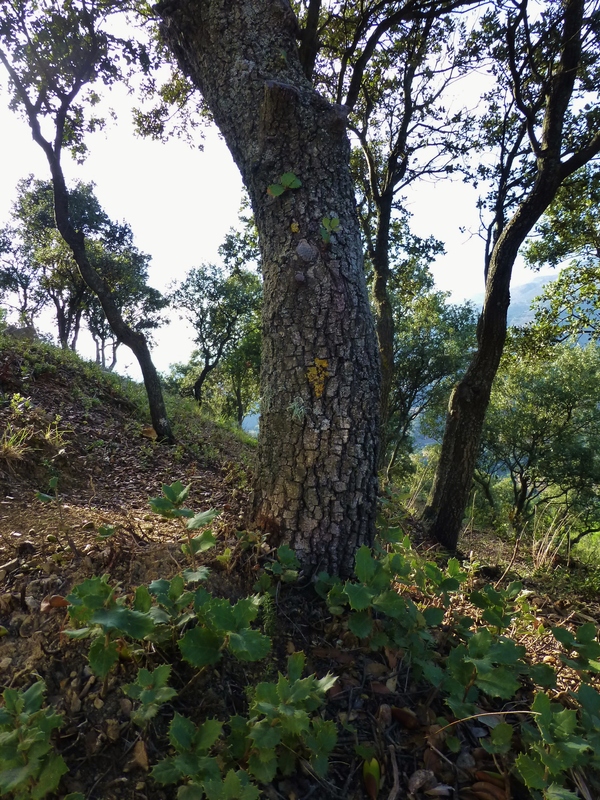 The hillside is very sharply inclined and extremely awkward to access at the best of times but now the oak walk – the network of paths and wooden steps around the oaks that Joe had formed years ago – has been eroded by a combination of the weather and the foraging boar. 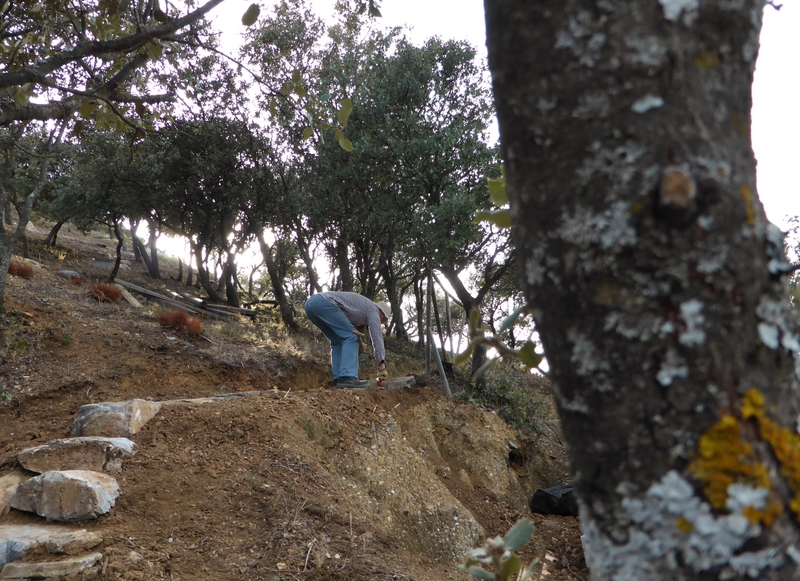 He’s creating a new oak walk, this time of stone, weaving in and around the encinas. 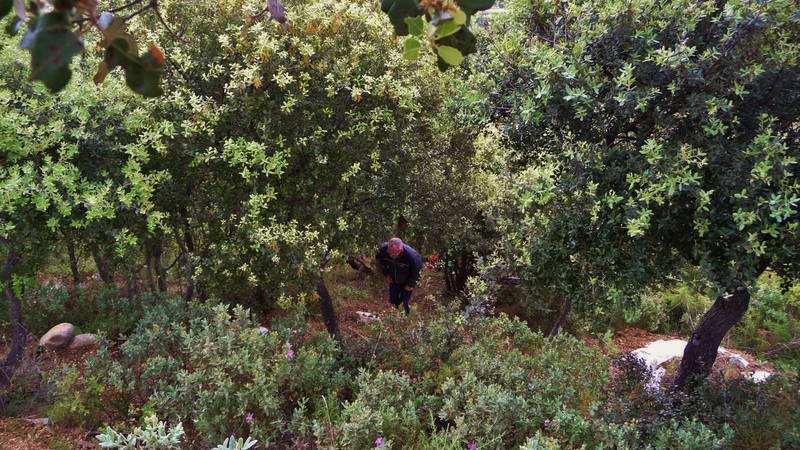 I shouldn’t have worried about the stripped, bare-looking woodland – although holms are very slow growing they are also extremely prolific and it wasn’t long before the hillside was again carpeted with holly like shoots around each tree in a radius of up to three feet; a damned nuisance actually as they are just like holly and very prickly! The only thing to keep these tough little suckers down is to strim them once or twice a year.